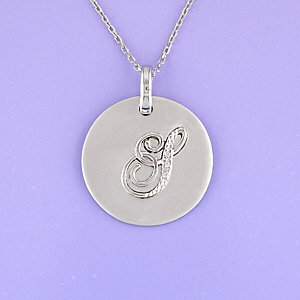 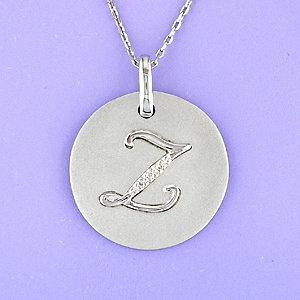 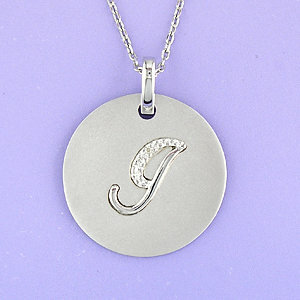 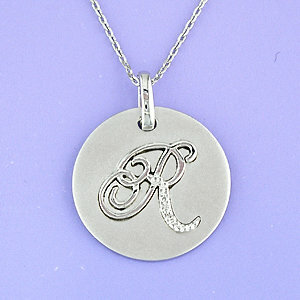 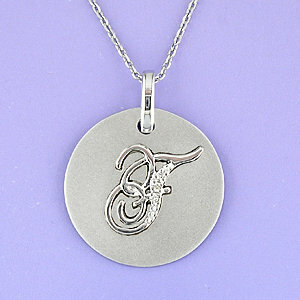 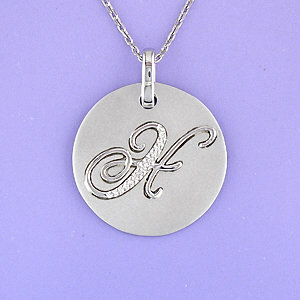 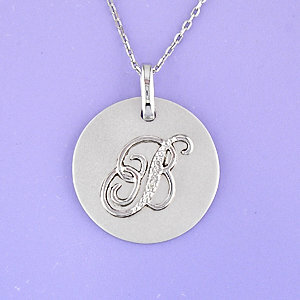 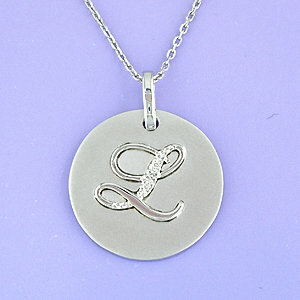 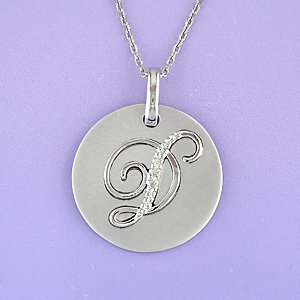 Treat yourself or someone you love to a Diamond Studded Sterling Silver Initial Pendant. 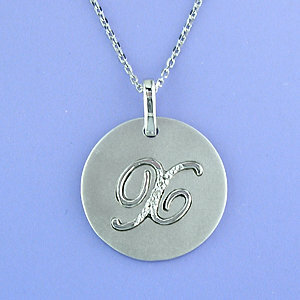 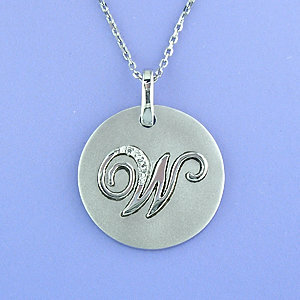 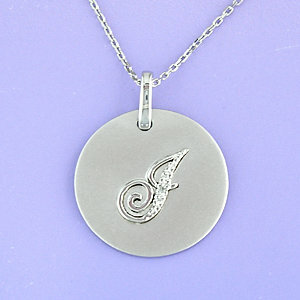 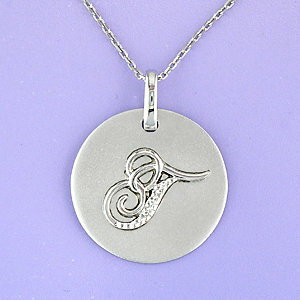 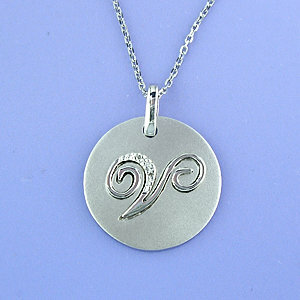 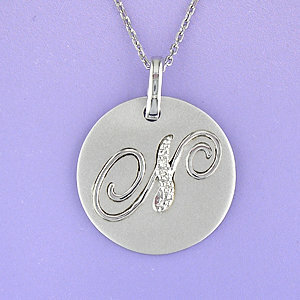 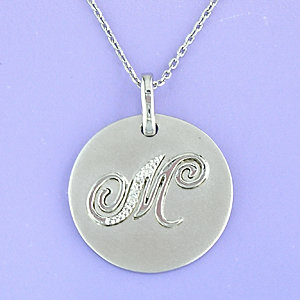 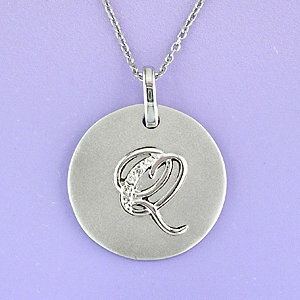 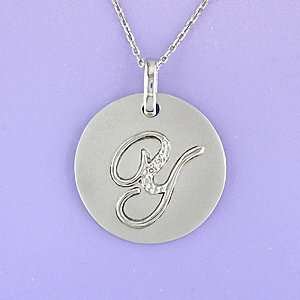 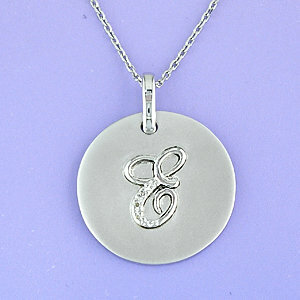 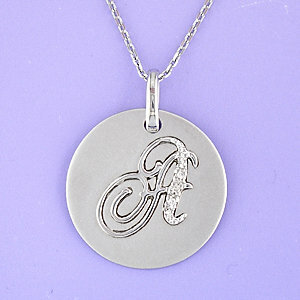 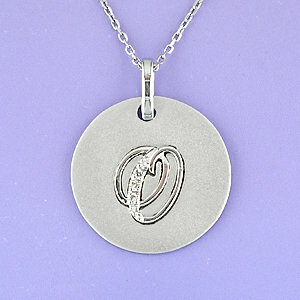 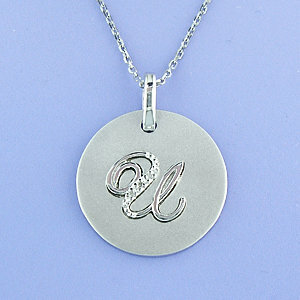 Make your sterling silver with diamonds pendant extra special with engraving on the back. 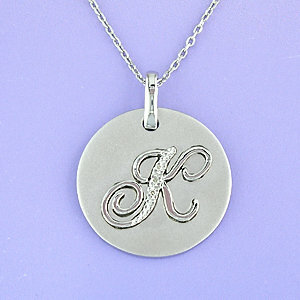 PLEASE NOTE: This is a non-stock item. 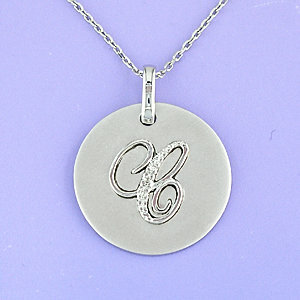 Please allow an additional 5-10 business days for shipping when ordering this item.